Each week a panel of journalists from South Florida and around the state discuss the week in news. This week on The Florida Roundup: Have state GOP leaders taken the election as a cue to change course? Why Florida Is Still Figuring Out “That Whole Voting Thing"
"An irrelevant laughingstock," a "benign tumor," a state that should just be "
Is Florida the state that can't vote straight? 11/09/12 - This week on the Florida Roundup. The election is over, but again Florida is the state that can't vote straight. 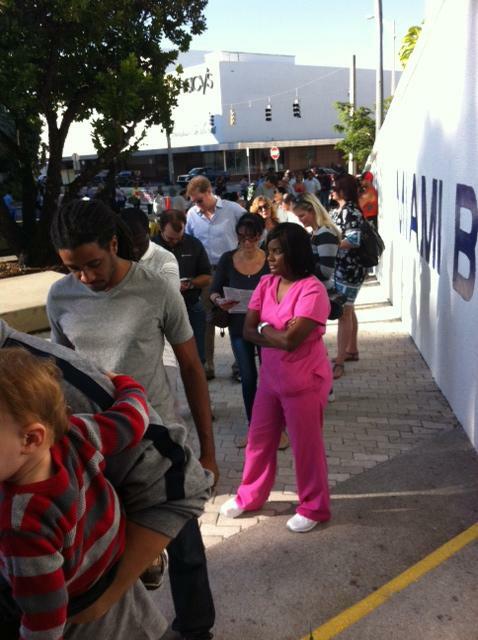 Long lines for early voting and on election night in Miami-Dade leave voters frustrated, and Florida blank on the electoral map for days. Even without the state's results President Obama wins reelection and Florida becomes bluer - with Democrats making gains at the state and national level, while Republicans take a hit. 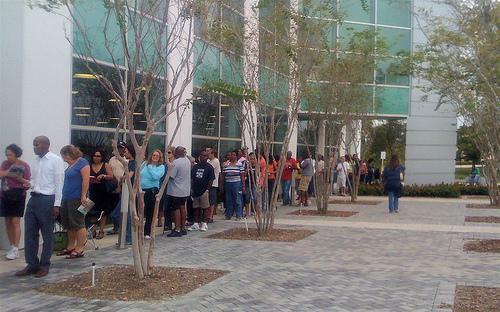 Florida is ready to vote. Or is it? 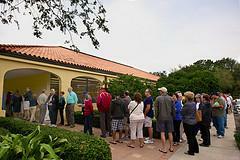 Over 3 million Floridians have already voted early in person or by absentee ballot. Early voting totals continue to be strong in mostly Democratic South Florida. For many, lines at the polls are long, while still others wait by the mailbox for their absentee ballots. I like the feeling of participation and community that comes with standing in line with neighbors I don't even know. But there's a limit to the number of hours I want to devote to this experience, and I want to make sure my vote gets in, so I'll probably be voting early next week. 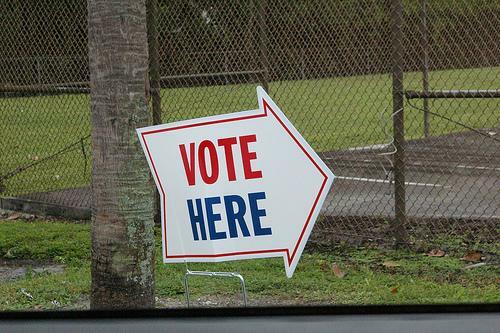 On The Florida Roundup, host Phil Latzman hears from you about how you're planning to vote - by absentee ballot, early voting or Election Day at your polling place. Already Florida has had about 1.1 million votes cast by absentee ballot. 10/26/12- On today's Florida Roundup, we will be talking about early voting, which begins this weekend, as well as what will be on the ballot and what wasn't discussed on this Monday's presidential debate in Boca Raton. This week's guests include Mary Ellen Klas of the Miami Herald, Jim DeFede of CBS 4, and Mike Mayo of the Sun Sentinel. There's one more presidential debate left, and it takes place in the most crucial swing state of them all. 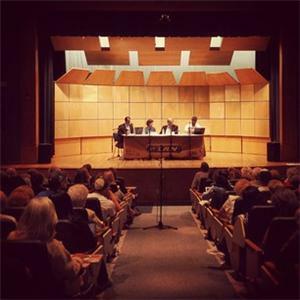 Host Phil Latzman along with panel of journalists, politicians and an academic discuss U.S. foreign policy and domestic issues important to Florida voters. There's one more presidential debate left and the political party starts today at noon. Join us for a live, two-hour, pre-debate special from Lynn University. We'll be tweeting, blogging and live-streaming the whole event. Host Phil Latzman along with a panel of journalists and political thinkers will discuss U.S. foreign policy - the subject of the presidential debate - as well as other issues important to Florida voters in this election. 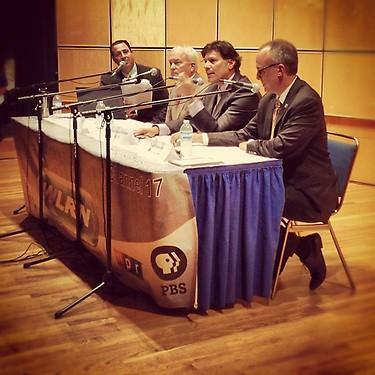 Tweet us @WLRN, #LynnDebate to give us your input on the conversation. 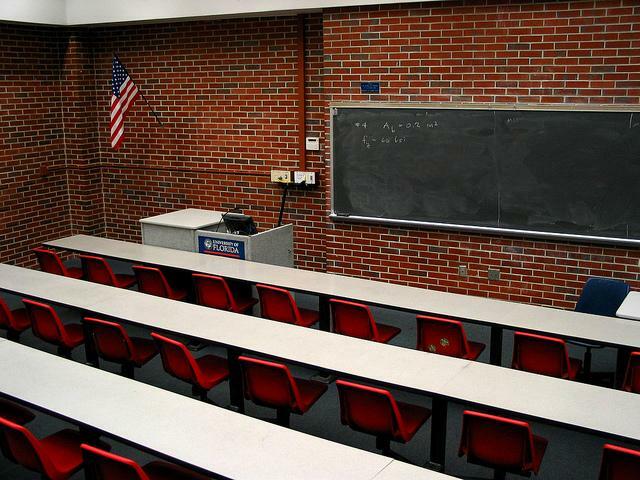 On this week's show: we focus on education and compare the policies of the presidential candidates. President Obama and Mitt Romney agree on issues such as paying teachers based on student performance. The main difference between the two is on the question of vouchers. Mitt Romney and Barack Obama debated the state of the American economy this week - we analyze what that might mean for Florida's economy. 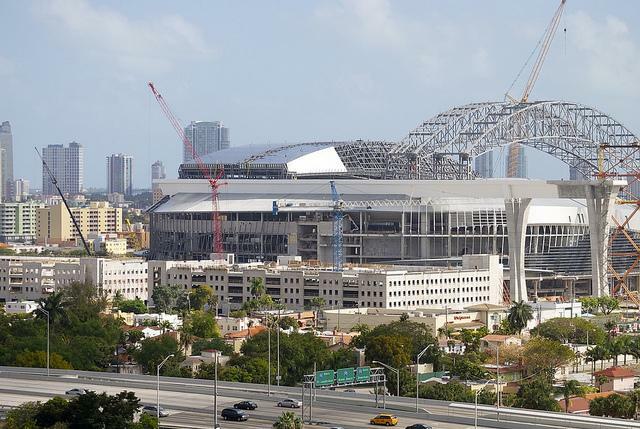 How has federal stimulus impacted Florida’s recovery? 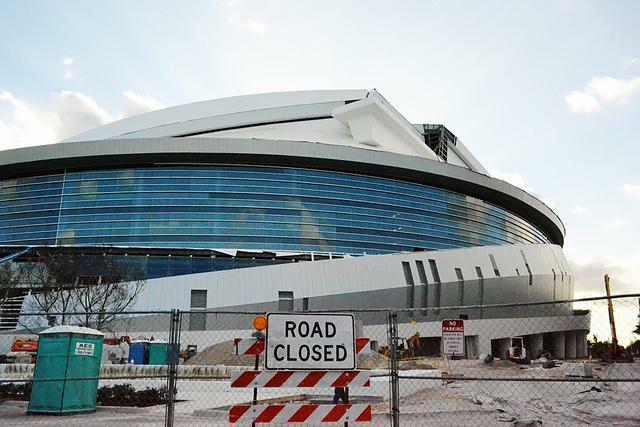 We hear from you on whether stimulus money has worked where you live. And we explain the troubles of US Century Bank. During our pledge drive, we highlight the work of reporters from the WLRN-Miami Herald newsroom. They give us the latest on Governor Rick Scott's voter purge efforts. How many non-citizens are actually registered to vote and voting? The November ballot will include several proposed amendments to the state constitution. Ashley Lopez and Sarah Gonzalez tell us about them. Plus: more evidence on allegations that Republican Congressman David Rivera funded a Democratic candidate's campaign. Our guests from WLRN also include Dan Grech, Sammy Mack, Kelley Mitchell and Kenny Malone. New figures show incomes in the South Florida region have dropped, and Florida's unemployment figure of 8.8% remains unchanged. Has Governor Rick Scott's economic policy made any difference? Meanwhile, Mitt Romney looks to recover from gaffes about the 47% made at a Boca Raton fundraiser. 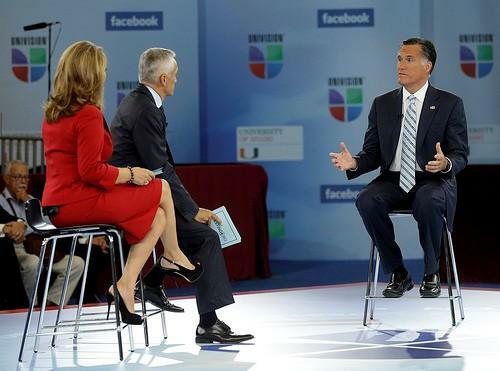 Both he and Barack Obama spoke at Univision forums in Miami to appeal to Hispanic voters. Plus: after testimony by victims' families, will a state task force recommend changes to the Stand Your Ground law?